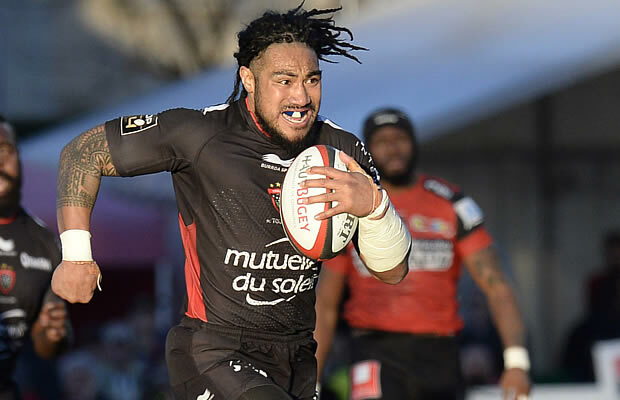 Ma’a Nonu scored his first try in French rugby as European champions Toulon moved up to second in the Top 14 standings with a bonus-point 44-13 win over relegation-threatened Oyonnax on Sunday. New Zealand international centre Nonu had not scored since the World Cup final in October when he and the All Blacks defended their global title, beating Australia. His score was Toulon’s fourth in a dominant performance that closed the gap to leaders Racing 92 to two points, albeit having played a game more than their nearest rivals. “Not everything was perfect but you have to remember that this team needs time to grow,” said Toulon manager Bernard Laporte. 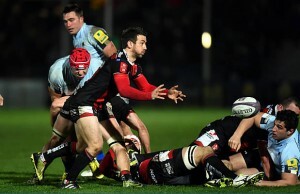 Oyonnax’s defeat leaves them second-from-bottom and 10 points from safety. Toulon needed little time to break the deadlock in simple fashion as centre Mathieu Bastareaud crashed over from close range following quick ball from the back of a scrum, while Oyonnax didn’t help their cause by focussing more on scrum-half Jonathan Pelissie than the rampaging try-scorer. Pelissie, who finished the match with 21 points, converted and slotted over a penalty before Toulon showed a clinical streak that highlighted the gulf in class between the two sides. Former England back-rower Steffon Armitage was in the heat of the battle in helping Toulon turn over Oyonnax ball at a ruck. The European champions were just outside their own 22 but moved the ball quickly through the hands from left to right where Nonu injected some pace. He sold several dummy passes to get the Oyonnax defence back-tracking before passing inside for Australian James O’Connor, who then found Pelissie on his inside shoulder. The French scrum-half went in under the posts before converting his own try. Toulon could have been in bonus point territory by half-time but South Africa wing Bryan Habana twice dropped long passes when on the overlap. Oyonnax used those reprieves to get on the scoresheet as Welsh international fly-half Nicky Robinson kicked a penalty five minutes before half-time. Robinson knocked over a second penalty 10 minutes after the break as Oyonnax clawed their way back to 17-6 but Toulon killed off the game four minutes later when quick hands between Bastareaud and O’Connor released Habana down the left. The World Cup winner from 2007 kept the ball in his hands this time, with Pelissie again converting. On the hour mark, Oyonnax shot themselves in the foot as they took a quick penalty but Nonu read Fabian Cibray’s pass and picked it off before running 70 yards to score under the posts for what would be the bonus point score. Oyonnax did get themselves on the try scoreboard on 65 minutes as replacement Tongan prop Soane Tonga’uiha was driven over. But Toulon’s pack still had the upper hand and their barrelling maul allowed Iuri Natriashvili to score his first try in the Top 14. On Saturday, Racing maintained their grip on top spot with a thrilling bonus-point win at Grenoble. 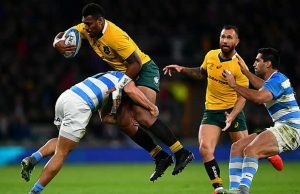 Racing only edged through 39-35 but outscored their hosts by five tries to two as former All Black Joe Rokocoko scored a try for the Parisians and Dan Carter kicked 14 points. Seven penalties from Jonathan Wisniewski helped keep Grenoble in contention but they had to content themselves with a losing bonus point. Clermont put behind them a dismal run of three straight home defeats as two tries in the final seven minutes earnt a 28-17 win at Castres. They’re now level with Toulouse who were out of sorts in falling 28-8 at La Rochelle.